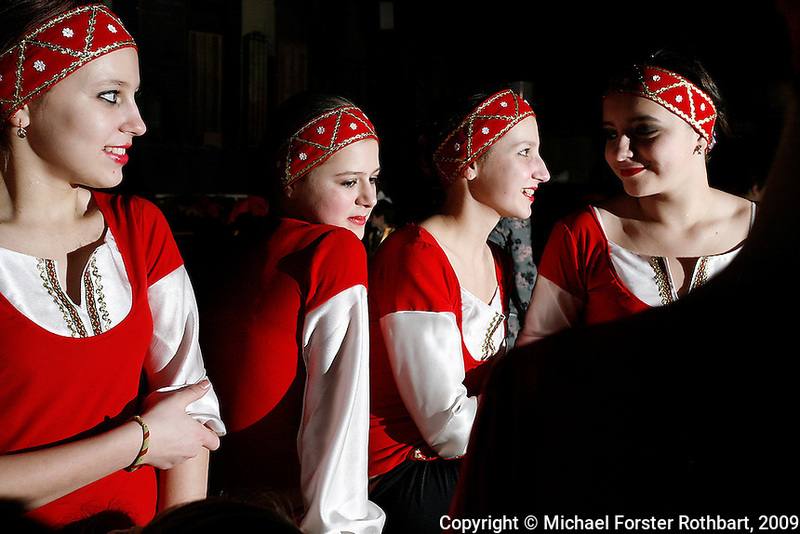 Teenage dancers wait backstage for their turn to perform during a Slavutych city concert. Slavutych, Ukraine, is the new city built after the accident to house evacuated Chernobyl personnel. The Chernobyl plant once funded many programs in the city. Now the city struggles with decreased resources due to layoffs at the Chernobyl plant. ..According to mayor Volodymyr Udovychenko, "the year the Chernobyl nuclear power plant's last energy-producing unit was prematurely shutdown, Slavutych lived through a tragedy. A social tragedy."